This packed 11-day adventure takes you into the pristine wilderness of eastern India's Neora Valley region. 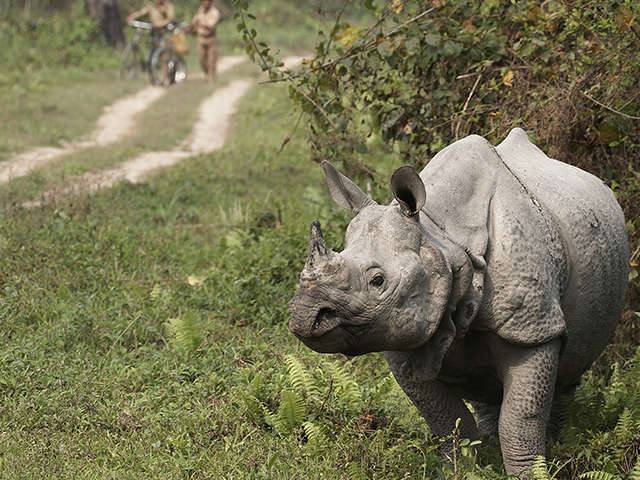 Marvel at the rhinoceroses of Gorumara and explore the rich wildlife of Neora Valley's thick forests. You'll also get to live the life of a colonial-era tea planter at Dam Dim. 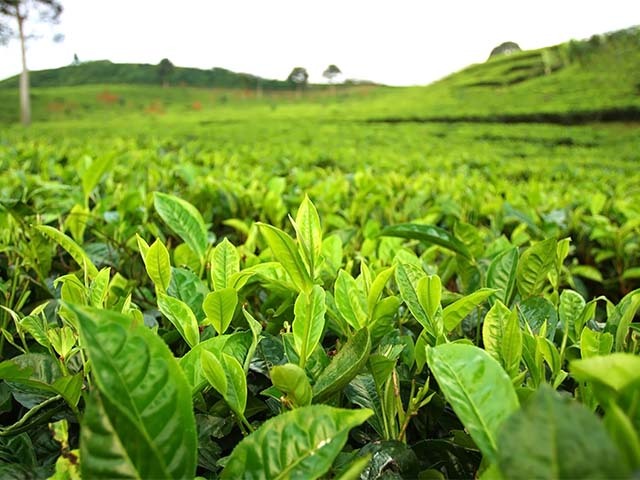 See how tea is produced! Your Indian wildlife tour to Neora Valley starts on arrival at Kolkata Airport where you will be met by our representative and transferred to your hotel. You can spend the day relaxing or exploring this Indian metropolitan city. Kolkata, a bustling city on the banks of Hooghly River is a cultural hotspot. The city of poets and artists, also boasts of wonderful architecture like Victoria Memorial, St. Paul's Cathedral, Hooghly Bridge and Vidyasagar Setu Bridge. Soak in the culture of the 'City of Joy' by hopping on to a tram and explore the treasures of the historic city. Today we board an early morning flight to Bagdogra. From here, we drive for 2 hours to reach Dam Dim Tea Estate. During our stay here, we will explore Dooars Valley, trek through the green expanses of tea gardens and observe Elephants from a machan(observation platform usually built on trees). We also have the opportunity to visit a colorful haat or local market and get a glimpse of the local culture. Our visit to the tea garden is incomplete without a look at the fascinating process of making tea- right from the plucking of tea leaves to the processing and packaging! The Dam Dim Experience is a unique opportunity to get a glimpse into the lives of tea planters and unwind in the homely yet extravagant environs of the estate’s Bungalow. Food will be served in the colonial planter’s style and prepared using vegetables, fruits, herbs and spices from the mali bari (vegetable garden). We will also explore Gorumara National Park. This park is known for its population of Indian Rhinoceroses. It is home to the Gaur, Asian Elephant, Sloth bear, Chital and Sambar Deer as well. While there are a number of small carnivores, the Leopard is the only large carnivore that is found here. Today, we drive for about 3 hours to Neora Valley National Park, where we will be staying for the next three days. Neora Valley National Park is one of the richest biological zones in northeast India. Its natural beauty is relatively undisturbed owing to its inaccessibility in certain areas. The park's forest cover is so thick in some places, that sunlight is unable to penetrate it. The wildlife found here includes the Clouded Leopard, Red Panda, Musk Deer, five species of Civet, Black Bear, Sloth Bear, Golden Cat, Wild Boar, Serow, Barking Deer, Sambar and Leopard Cat. During our stay in Neora Valley, we will go on extensive birdwatching treks, discover the fascinating culture and heritage of the area (Kirat culture, village visits, Buddhist monastery tour) and savor the exotic local cuisine. Our accommodation here is Neora Valley Jungle Camp- a small community-based conservation tourism project. It helps sustain the local community of the Kolakham village, which adjoins the National Park. There are four cottages and four Swiss tents here, all of which have attached bathrooms. Today we leave Neora Valley Jungle Camp and drive to Ghoom (or Ghum), which is among the world's highest railway stations. Here we will get to ride a famed Toy Train of the Darjeeling Himalayan Railway. This train is a marvel of transportation engineering and is also a World Heritage Site. After the ride, we will drive on from Ghoom to Darjeeling, a popular Himalayan summer retreat. Darjeeling is particularly renowned for its tea. The quality of Darjeeling tea is considered to be among the finest in the world. During our stay here, we will go on Heritage Walks, learn about Buddhist culture at the Manjushree Centre of Tibetan Culture and History, and visit Tiger Hill Ridge. We will also be visiting the Darjeeling Himalayan Zoo, a major center for the conservation of endangered Himalayan wildlife. We set out early in the morning for Mirik. Our route takes us through ‘Salamander highway’, where we will explore the habitat of the Himalayan Salamander, a few tea gardens and picturesque pine forests. Mirik is a lovely tourist spot that is nestled in the scenic hills of Darjeeling. The main attraction here is Sumendu Lake, where one can go boating or pony riding. The Mirik Monastery in the area is also worth a visit. Today after breakfast, we will head for Bagdogra airport, in Siliguri, to board a flight back to Kolkata. You can relax in your hotel after an exciting and adventure packed tour or can move out and explore the city of Kolkata. This is the last day of the Neora Valley holiday and you will be escorted to the airport for your flight back home.